There are so many good songs out right now that I am really loving and some old classics that I have re-discovered thanks to watching 'The Nations Favourite 80's Number 1's' on ITV with my mum! 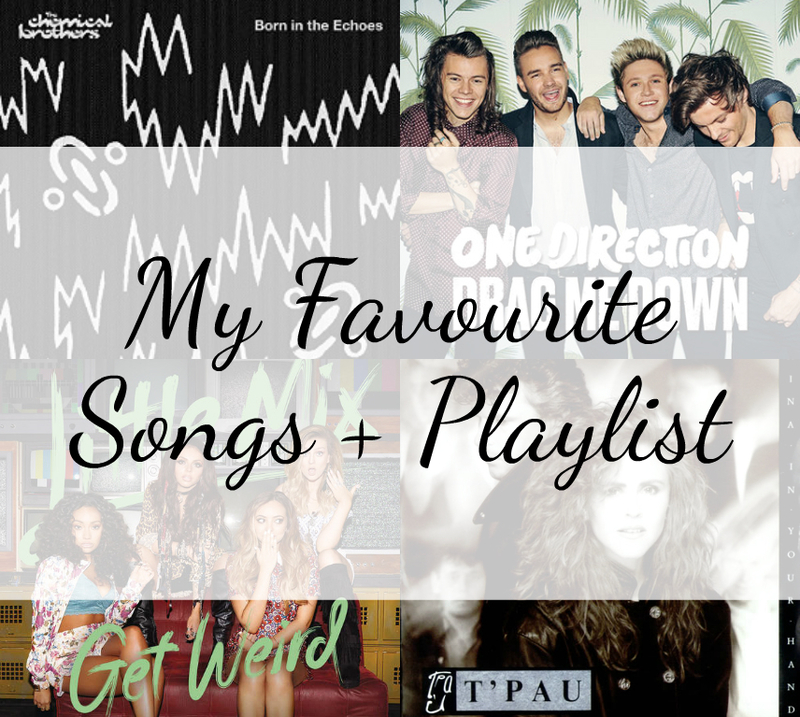 I have around 9 songs that I cannot get enough of right now! I LOVE this song so much, I have always loved The Chemical Brothers and this is such a good come back song! I can't stop listening to it and the chorus is amazing! Who needs Zayn right?! I love this song, but then why wouldn’t I Niall sings more which is pretty much heaven haha! I hadn’t heard this till last week and I am hooked, it’s constantly been on replay. So Little Mix released this the other day and I think I have already listened to it about 600 times! It’s such a fun song and I think it’s going to do really well! OH MY GOD, okay so I adore this song I love the lyrics and well just everything! This was one of the gems I re-discovered and I am so happy I did, I love dancing around my bedroom to this haha! Another absolute belter! I like to try and mimic Bonnie’s voice when I’m singing this full volume in my room. Love this song and did you guys know that Meatloaf’s song writer wrote this for Bonnie and then Meatloaf got in a huff because he wanted it for himself! I kept hearing this song everywhere and in the end had to Shazzam it when it came on in Oasis (the shop). This is a really great summer tune! Now I am not Meghan Trainor’s biggest fan the only song I like is Lips are Moving but anyway I think this song is really catchy and I always find myself singing it, although I’m not entirely sure what ‘Let’s Marvin Gaye and get it on’ means?! This song is actually really nice if you listen to the lyrics, v emotional haha! This is going to be my song of 3rd year to help me get motivated! Hope you enjoyed a glimpse into my favourite songs at the moment and I have left the playlist so you can have a sing along to any songs! What are your favourite songs at the moment?! Although I really dislike Meghan Trainor - I really do like Marvin Gaye (and get it on). It's called that because Marvin Gaye did a song called Let's get it on, I believe, so it's referencing that song. I could be wrong though!